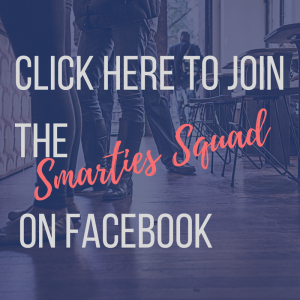 Smart Marketing Squad (“us”, “we”, or “our”) operates http://www.SmartMarketingSquad.com (the “Company”). This page informs you of our policies regarding the collection, use and disclosure of Personal Information we receive from users of the Company. We control this Company from offices in the United States of America. We do not represent that materials on the Company are appropriate or available for use in other locations. We use your Personal Information only for providing and improving the Company. By using the Company, you agree to the collection and use of information in accordance with this policy. We collect your information in order to record and support your participation in the activities you select. If you register for a course, a membership Company, or a free training series, for example, the information is used to enroll you in the program, to enroll you in our newsletters, to track your preferences, and to keep you informed about the product and related products. As a visitor to our Company, you can engage in many activities without providing any personal information. If you opt-in to receive any free training series, download a free product, register for a webinar, seminar, or live event, or purchase any product sold by us or promoted by us, you will automatically be subscribed to our free newsletter. If you do not wish to receive this free newsletter, you may opt-out at any time. We include an unsubscribe link at the bottom of every e-mail we send. If you have any trouble opting out, please send an e-mail to us amanda@smartmarketingsquad.com. We will manually remove you from our e-mail list(s). If you supply us with your contact information you may receive periodic e-mails, mailings or calls from us with information on new products and services, important issues, or upcoming events. 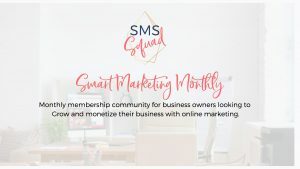 If you wish to be removed from any postal, e-mail, phone, or other lists, please let us know by e-mailing us at support@smartmarketingsquad.com. Please provide us with your exact name, e-mail address, mailing address, and phone. We will be sure your name is removed from the appropriate lists immediately. When you use our Company, we or our authorized technology services provider may also collect certain technical and routing information from you to facilitate your use of the Company and its services. We use this information to administer the Company and to understand and measure traffic patterns on the Company so that we know which areas of our Company are favorites of our users, which areas need improvement, and what technologies are being used so that we may continually improve our Company. This information is collected in aggregate form, without identifying you or any user individually. We may use this aggregate, non-identifying statistical data for statistical analysis, marketing, or similar promotional purposes. Cookies are files with small amount of data, which may include an anonymous unique identifier. Cookies are sent to your browser from a Company and stored on your computer’s hard drive. Like many Companies, we use “cookies” to collect information. You can instruct your browser to refuse all cookies or to indicate when a cookie is being sent. However, if you do not accept cookies, you may not be able to use some portions of our Company. Smart Marketing Squad does not knowingly collect personally identifiable information from children under the age of thirteen. If you are under the age of thirteen, you must ask your parent or guardian for permission to use this website. We will retain any information you choose to provide to us until the earlier of (a) you ask us to delete the information, (b) our decision to cease using our existing data providers, or (c) the Company decides that the value in retaining the data is outweighed by the costs of retaining it. Why Are My Canva Design Downloads Blurry?